A Super Duplex stainless steel is a type of Duplex stainless steel with enhanced corrosion resistance which is categorized by its PREN being greater than 40. A standard Duplex like the S31803 grade stocked by us has a PREN of around 35. The Pitting Resistance Equivalent Number (PREN) is widely used as a means of comparing the relative corrosion resistance of different steel grades. The PREN is obtained by applying a mathematical formula to the chemical composition of a steel so that PREN = %Cr (3.3 x %Mo) (16 x %N). We export to: Bahrain, Brazil, Chile, Egypt, India, Iran, Iraq, Kuwait, Lebanon, Middle East, Mexico, Nigeria, Oman, Saudi Arabia, South Africa, South America, Qatar, Russia, Turkey, United States, UAE, Venezuela, Yemen & around the globe. strength, double that of the standard austenitic stainless steel grades. It also demonstrates good fatigue strength, as well as outstanding resistance to stress corrosion cracking, crevice, pitting, erosion, and general corrosion in severe environments. 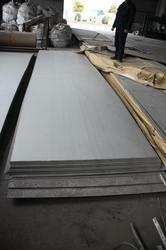 We are providing Duplex Steel Plate 2205. Duplex Steel Plate 2205 is the most widely used duplex stainless steel grade and is characterized by high yield strength, double that of the standard austenitic stainless steel grades. It also demonstrates good fatigue strength, as well as outstanding resistance to stress corrosion cracking, crevice, pitting, erosion, and general corrosion in severe environments. Due to its high chromium, molybdenum, and nitrogen content, Duplex 2205 demonstrates superior corrosion resistant properties to 316 and 316L in most environments. Chromium, molybdenum, and nitrogen content also provide high resistance to pitting and crevice corrosion, even in oxidizing and acidic solutions. 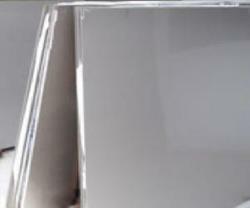 Similar to other duplex stainless steels, Duplex 2205 has good oxidation resistance at high temperatures. We are pioneers in manufacturing and exporting a wide range ofDuplex Steel Plate 1.4462 around the globe. 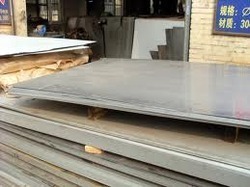 The famous Duplex Steel Plate grade available with us are 1.4462, S 31803 and S 32205. These plates are manufactured using flaw-free high grade steels to maintain its international standards. This is free from rustiness which is highly durable. It is mostly used by the large industries for various applications. Looking for Duplex & Super Duplex Plates ?